The use of beef ingredients in grilled chicken just seems wrong to me, and we believe most consumers would agree," said Steve Carley, CEO of El Pollo Loco. KFC doesn't see what the big deal is. "Small amounts of beef flavors are commonly used in seasonings for many food products, for both restaurant and retail use," a spokesperson for the chain told the LA Times. 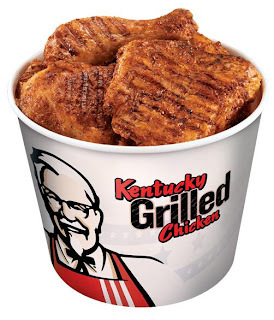 "For Kentucky Grilled Chicken's topical seasoning, beef flavors account for only 0.2% of the total seasoning," he added. Still, El Pollo Loco thinks people will want beef-free chicken. You can check out their new ad campaign at their new website: Beefychicken.com.